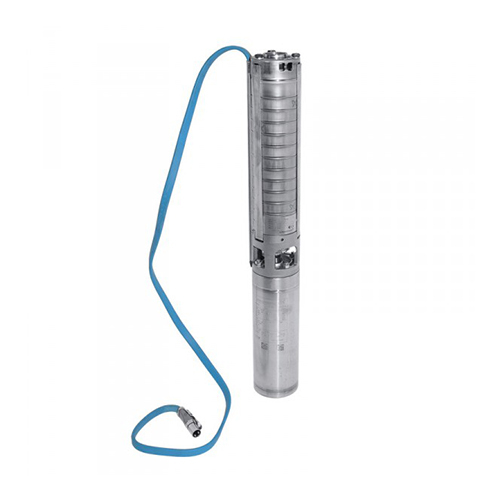 This borehole pump is engineered for pumping clear water. It is possible to install it either vertically or horizontally. This borehole pump is engineered for pumping clear water. It is possible to install it either vertically or horizontally. The main component of this pump is stainless steel, EN 1.4301 (AISI 304) which is highly corrosion proof. This instrument is ratified for drinking water usage. The motor features a lip seal, a special shield, which protects it from sand, bearings with liquefied lubrication and a compensation membrane. A 1.5 kW motor offers perfect stability and effectiveness. It is able to work in temperatures up to 40 °C. There is no sensor for temp. 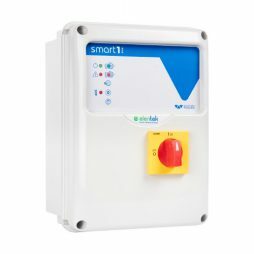 in the motor, so if controlling it is necessary, fitting a Pt1000 detector is possible. Direct-on-line starting (DOL) is the main characteristic of this motor. Born from the need to combine in a single product the functions of panels for clean water (emptying, filling, pressurization, etc) and sewage pump panels (emptying and sewage water) and to offer always more function, safety, and control, SMART EVO raises the standard without extra cost!